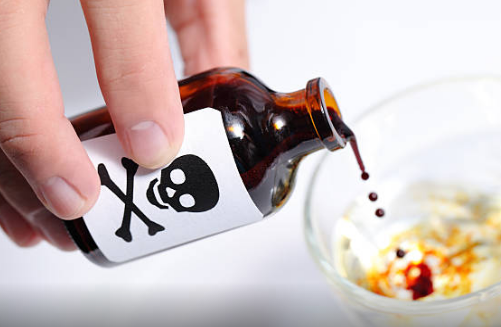 A 12-year old boy of Lekki-British International School has allegedly tried to poison his classmate over First position in previous terms. The family of the 11-year old female victim is calling for a proper mental evaluation of her classmate, who allegedly tried to poison her because she had beaten him to first position in previous terms. Facebook user Abimbola Ololade Oligbinde shared a statement purportedly made by the female student’s aunt. The boy had allegedly broken into the school’s laboratory, took sulphuric acid and ethanol, and poured into the girl’s water bottle. Fortunately, his classmates saw him and reported the matter. The boy allegedly owned up to the crime, adding that he had been planning it for sometime. The statement by the girl’s aunt said that the boy also disclosed that his first plan was to put feces into her juice which had screw cap everyday. That plan failed after she stopped bringing that particular juice to school. The school is yet to respond to an email sent to them on the matter. However, Punch reports that an official of the school who spoke on the condition of anonymity, said that the boy had been expelled. “The boy has been expelled with immediate effect. The girl is in school and she is fine. We have zero tolerance for such misbehaviour,” the official was quoted as saying. Hmmm…good morning parents..I will come back on this matter of the 12 year old who attempted to kill his classmate with a broader perspective..deeper than this parent just analysed. The child in question is my niece…been following the trend of events since the incident precisely on Wednesday 14th June 2017 at about 1.30pm. It will amaze you that the school in question still has the boy in school…no mental case assessment, he was allowed to write the very same exams he had tactfully planned on executing his classmate for so dat she doesn’t take the first position again , sitting right in the same classroom! He had stolen from the lab sulphuric acid and ethanol and mixed both into the girl’s water bottle for her to drink after lunch. When asked, he said he had been planning this since second term..his first plot had been to put feces gradually on a daily basis into her screwed bottle juice that she usually came to school with. But with God’s invention, on his first day of that plot, she didn’t come to school with that screw top juice..so he changed the plan. After this incidence..upon enquiry, the girl’s mother was told that he was to resume a mere one week suspension next week after exams are over on Friday which is tomorrow..she insisted that the punishment would only have reinforced the boy…as they should have started from expulsion and maybe work it down to a term’s suspension after proper evaluation of d boy’s mental state(if the school still thought it was necessary to retain such an evil mind in the school that is). However, to her greatest shock..the owner of the school cornered her daughter to coerce her to write a false statement that she provoked the boy to such an evil act!!!! How evil can one get?!!!! That the boy looked really innocent..so hence the victim as always in Nigeria has become the culprit! Simply because she still wants to count her money in millions as school fees???!!!! What more does a pupil have to do to get expelled from such a prestigious school or any school at all? Should a murder have to take place first? If he actually had succeeded in his carefully calculated plans..of which he had a list of other intelligent kids he planned to kill after he succeeds in dis one! A set of parents would have been left without their very brilliant daughter had God not rescued the situation through the intervention of the two boys that caught him in the act. And such a child is still walking d school as I speak to you boldly whilst the victim can no longer drink anything in d school for fear of being poisoned. To correct the view of the initial writer..and this only makes it worse..the kids are in Js1!! The girl joined them after a few weeks in first term..so he had only been opportune to have a glimpse of the first place in the continuous assessment tests before she came along and made first place first and second term in a row, hence this plot to kill her before third term exams begins. One would think that the school authorities will be very concerned about what is going on in the mind of this child and immediately remand him to psychological and psychiatric help! But alas the parent of the victim is being accused by the school management of wanting to destroy the life of the boy by asking that he be expelled and made to write an apology. An apology came after one week of the incidence after it was vehemently demanded for. I am appalled at the rot and decay of any form of value system that has exhumed from one of Nigeria’s supposed best schools… Lekki British International School.